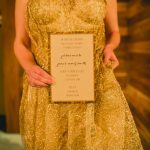 The above Crane & Co. Personalized Stationery options are bountiful with engraved or thermography printing options, monograms, gold pressed inks and endless fun colored envelope linings. They make a great father’s day gift, sweetheart gift or a treat for yourself. Please come in and see our selections. 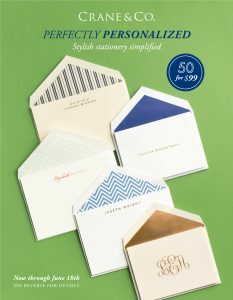 Check out our other fine stationery from Crane and Co. They include: Crane & Co. Fine Stationery, Crane & CO. Business Stationery, Crane & Co. Executive Envelopes & Crane & Co. Holiday Cards. Crane & Co. is one of the oldest printing companies and they are great for Thank You Notes, Personal Correspondence, Wedding Invitations, Holiday Cards and Business Cards. We love to meet with our Crane & Co. Representative on a regular basis to see new products so that we may have them for purchase in our San Francisco, California Store. Over the years we have come accustomed to meeting with her and she is always very helpful in pointing out best sellers and hot new items. She has recently become the rep also for William Arthur & Vera Wang which our some of our best selling stationery brands. The Crane, William Arthur & Vera Wang Lines offer the old world charm which has the new trends such as gold, copper & colored edges. The stationery is the highest quality and the printing with ink colors is art. It’s one thing to see these designs on the internet and a whole other to witness in person and feel the indentations and colors. This is why we are happy to be able to offer this experience to our Bay Area Clients. Not only do we offer our 30 years of experience in creating a unique stationery but we are able to showcase these beautiful products. So if you are dizzied by the internet options with fonts, inks, printing styles and personalizations, simply make an appointment for a FREE WEDDING CONSULTATION! We will walk you through and make it painless and fun! Please see why our clients trust us with their special events on YELP & GOOGLE! Please CALL ME, EMAIL ME, or COME IN. 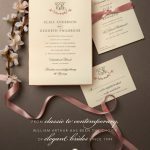 Hyegraph Invitations & Calligraphy can also address your envelopes with Digital Calligraphy. Thank You for considering Hyegraph for your personal, business and holiday stationery for Crane & Co. We are happy to be an official Crane & Co./William Arthur/Vera Wang Dealer in San Francisco, California.